← What is the meaning of food for you? Do you need to find a new direction in your life? One sign is when you feeling a bit empty or discontented. Lacking much in the way of a sense of fulfillment in what you do? Perhaps you are drifting through life without a clear sense of where you are going. Having a meaningful sense of direction makes everything you do and see come alive in terms of what you are making of your life. But just how is this found? 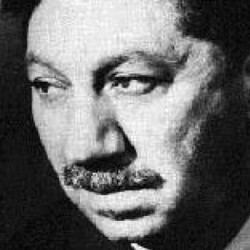 Abraham Maslow’s focus for psychological research was people who seemed healthy and creative, rather than those who were disturbed. He developed his well-known hierarchy of needs which included hunger, sleep, safety, belonging, love, self-respect and recognition. The hierarchy culminated in the need for what he called self-actualisation by which he meant wanting to make full use of one’s talents, capacities and potentialities. He reckoned we all have this desire deep within to find a new direction in life. Of course there are limits to what anyone can achieve. With my eyesight problem, I would never have passed the R.A.F medical to get into jet pilot training which was my teenage dream. My article Drifting — how to stop deals with limitations on our aspirations due to nature and nurture. However, how open-minded are you to new realistic possibilities? Do you notice prospects for change? Or perhaps you are too set in your ways and too fixed in your ideas to take up new personal contacts, new avenues of information? According to your interests you could join a relevant social network looking for personal contacts that might lead to something worth trying, whether it be a local voluntary project, a new type of skills training, a business venture in a new market. Some people are prepared to pursue any unexpected job break however humble with the hope it might lead towards something better. Others sadly allow the obvious difficulties they face to overwhelm them and turn them into victims of their circumstances. From a spiritual angle, I would suggest you will fail to perceive any meaning in what you do in so far as you lack a basic love of life. Not having enough feeling would sadly confirm Paul Sartre’s famous phrase ‘Man is a useless passion’. This is a denial of any meaning to existence and it simply adds to a sense of futility and boredom. The more you put into life then the more you will get out of it. In other words, the more you go out of your way to try something then the more chance you have of finding something that suits you whether it be a hobby, a job, or a partner. I would suggest looking for a meaningful fulfilling role is like looking for a mate — creating opportunities, looking around, kissing frogs. So with all your heartfelt desire why not search out for opportunities to pursue? We are quite good at deceiving ourselves as to any higher calling which apparently is at odds with the prevailing climate of opinion and conventional styles of living. Don’t all these throw a blanket over the anxiety generated by the impermanence and uncertainty that only a deeper perception of life reveals? Unfortunately, when feeling anxious we tend to escape or avoid whatever feels threatening. We play down our chances in life when it feels too much of a challenge; when our complacency, our fears, our resistance to change are all threatened. Openness to a new direction means accepting this anxiety and not hiding from it. It means being open to possible failure as well as success. How would it feel to build a life away from your own country and then return there to find it in turmoil? How would you respond to being asked to lead a protest to save your country, knowing the personal sacrifice that will involve? Aung San Suu Kyi is the daughter of a dead national figure in Burma who was called to lead Burma’s democracy movement in opposition to its military dictatorship. Despite their loving relationship, she and her husband were willing to suffer long separations, and a dangerously hostile regime, for the sake of trying to help the country find peace in a situation of political turmoil which continues today. She exemplifies finding meaning and purpose in life in terms of ‘looking above’ self which is discussed in How do I find meaning and purpose for my life? Few people these days seem to gain a sense of ultimate meaning or direction from their understanding of traditional religious beliefs. However, in his research Maslow found that self-actualisers often had the ability to have mystical experiences. As a non-religious person he nevertheless supported the notion of ‘transpersonal psychology’ a field of study of human experience concerned with something which is beyond and bigger than the individual person — something many call the spiritual dimension. People who feel fulfilled in what they do live fully in each moment. They put their trust in doing what feels right for them rather than living up to the expectations of others. There is often an acknowledgment of a spiritual reality within the physical universe. This for many means intending well towards others for the sake of the common good rather than for the sake of self. According to spiritual philosopher Emanuel Swedenborg, there is a different Divine purpose uniquely there for each of us if we allow ourselves to be carried along by the stream of Providence. He adds the idea that there is a heavenly role prepared for each of us if only we try to find it.